Matisse Day Spa carries a variety of beauty and wellness products, browse a selection of our available product lines below or stop by for more information. 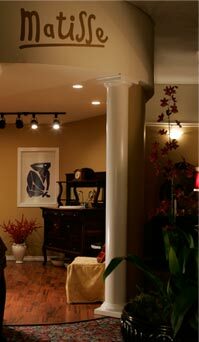 An internationally recognized skin care company for over 40 years. Developed in Paris, France this luxurious skin care line caters to all skin types with its treatments, methods and products. From basic cleansers and toners to advanced serums and masques, Guinot delivers real results! Take a trip to Hungary and treat your senses and your skin to an exotic skin care line that brings together high quality Hungarian ingredients with an old world knowledge of herbs and fruits. 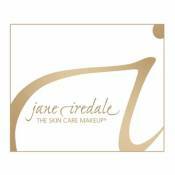 Matisse has Jane Iredale natural mineral cosmetics! All you need to keep your complexion glowing while beautifully enhancing your features. Jane Iredale makeup is recommended by plastic surgeons, dermatologists and skin care specialists. We love it! Come in to Matisse and try it for yourself. Gehwol, meaning "walk well", is a product line researched and developed extensively in order to preserve and maintain the beauty and well being of the feet. 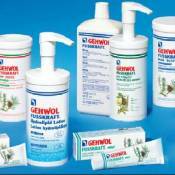 Based on natural plant extracts, herbs and essential oils, Gehwol can cater to almost every hand and foot condition.